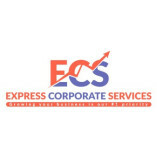 "xbrl services" "gst services singapore", "corporate secretarial services"
The Express Corporate is the leading name for providing the best accounting and company registration services in Singapore. We have a team of highly qualified and experienced professionals who always ready to help you for solving your account... related problem. We are a network of firms who are committed to delivering quality service in assurance, advisory, auditing, accounting, and payroll and taxation.